Our monthly look at values for common post-consumer materials shows steadiness in plastics and rises in fiber, with some particularly notable jumps seen in old corrugated containers. On the fiber front, OCC (PS 11) moved up 17 percent over the past month, from a national average of $153.75 per ton on June 7 to the current $180.00 per ton. One year ago this post-consumer paper grade was trading 53 percent lower, at a national average of $95.94 per ton. Meanwhile, the sorted residential paper grade (PS 56, formerly PS 8 News) is currently trading at a national average of $86.56 per ton, a rise of 10 percent over the past month. One year ago the national average for this curbside grade was $75.94 per ton, or 14 percent less than today. Moving to plastics, the current national average price of post-consumer PET beverage bottles and jars remained steady over the past month, currently trading at 15.72 cents per pound. One month ago this common grade was trading at 15.48 cents per pound. By comparison, the national average price was 29 percent lower one year ago, trading at 11.20 cents per pound. Meanwhile, the national average price of post-consumer color high-density polyethylene (HDPE) from curbside collection programs has risen slightly over the past month, from 13.00 cents per pound, to the current 13.31 cents per pound. One year ago this grade was trading 35 percent higher, at 17.94 cents per pound. Post-consumer film grades remain steady. The national average for Grade A Film is 16.88 cents per pound, Grade B Film is at 8.06 cents per pound, and Grade C Film is trading at an average of 2.50 cents per pound. 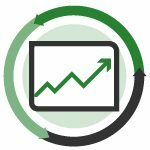 For a free trial to SMP’s Online Post-Consumer Pricing Index, visit the Recycling Markets website. You can also contact Christina Boulanger-Bosley at [email protected] or call 330-956-8911.